Here’s an example of one of the questions our customers have asked us most here at Street Scenes Automotive, how do I get a hassle free collision repair estimate? With this topic in our minds we have come up with a great way to provide our customers with just that, a hassle free collision repair estimate! Any kind of damage to your vehicle can be not only costly but, an extremely stressful and time consuming process. Whether you’ve been in a fender bender or mother nature has had her way with your vehicles paint job, taking time off of work to go sit in an auto body shop just to get an estimate can be a huge hassle. If only there was a more convenient and efficient way to have your damage assessed. A hassle free collision repair estimate would resolve everything! You’re in luck because Street Scenes Automotive offers just that! 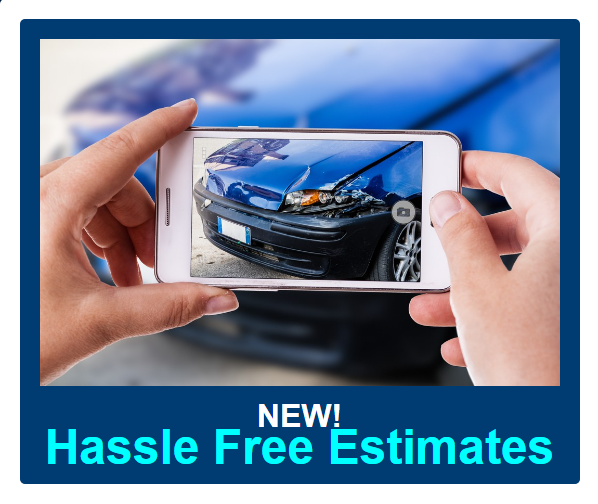 A Hassle Free Collision Repair Estimate! All you have to do is log on to www.streetscenesauto.com/contact/ to get a FREE Quote! Simply type in the name of your vehicle and the required information, then upload any photos of the damage taken from your camera or from your phone. It’s that easy! Our certified experts will be on hand and able to estimate the cost of the repairs to your vehicle within 24 hours, and without YOU ever having to leave your home or office! That beats taking time off work, the hours of making phone calls to different auto body shops, the headaches, the aggravation, and the hassle of sitting in the body shop waiting room any day! At Street Scenes Automotive we offer a wide variety of services including: Custom Paint and Auto Body Repair, Insurance Collision Repair, Paintless Dent Repair, Paint Protective Film, Vehicle Graphics & Wraps and as always SUPREME Automotive Detailing services that meet your needs.